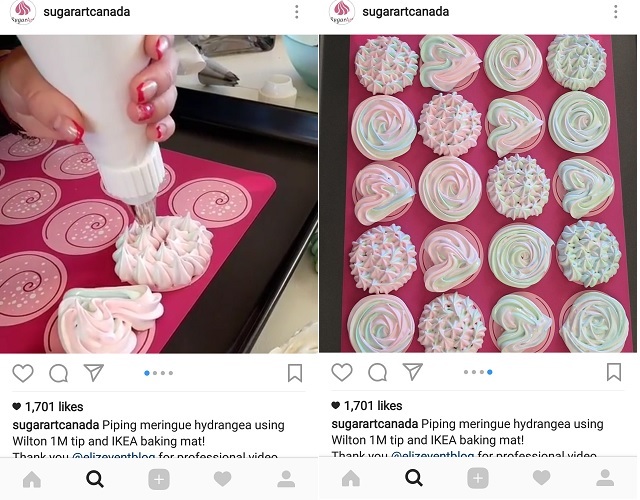 Last week, Instagram announced that they are rolling out a cool new feature that lets users share up to 10 pictures and videos in a single post. It’s relatively easy to use and basically the same with how you would normally post. This short step-by-step guide can help you know more details. You can only put one caption and location for the whole set of slideshow but you can edit individual tags for each photo or video, as well as filters. 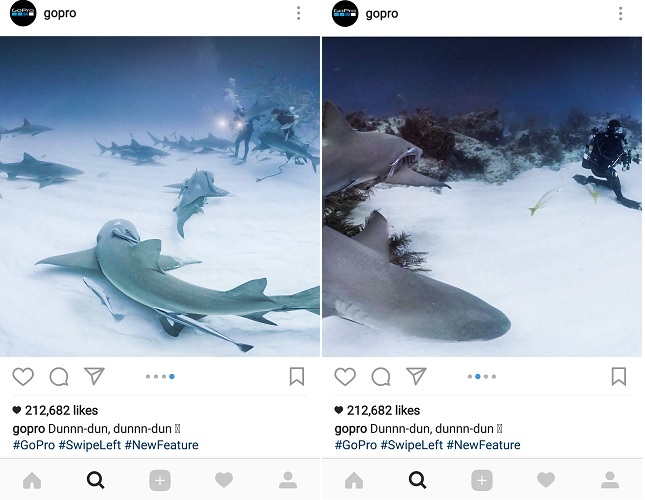 You can also choose the thumbnail photo you want to be displayed on your feed. Speaking of your feed, you’ll know if a post is a slideshow when you see blue dots at the bottom, meaning you can swipe to see more. What to make of this new feature you might ask? First of all, if you’re following a lot of people or simply don’t enjoy having your feed flooded, this feature is the answer. You have less to worry now about clogging other people’s feeds by posting many separate posts. The same goes from their end. 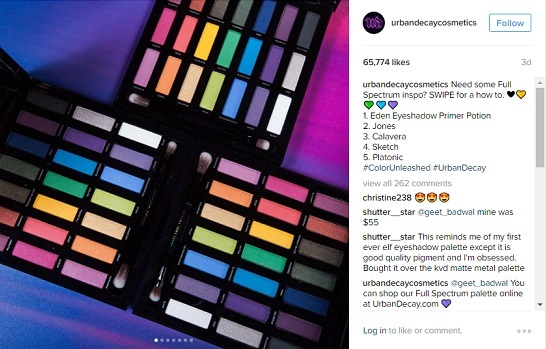 This works well with companies using Instagram to market their brands. Instead of appearing spammy and bombarding your followers, they can simply upload an album or collection. 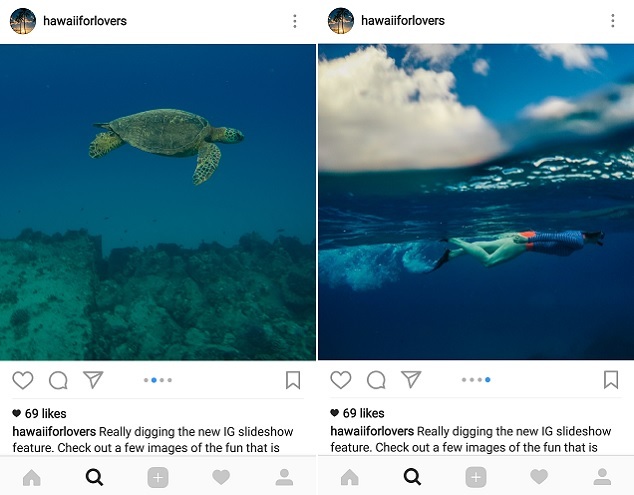 Instead of posting multiple pictures from your beach vacation separately, you can now just upload a single post of your beach vacation gallery/album. Another potential advantage is when it comes to increasing your social impact and growing your follower base. It will be like hitting many birds (10 to be exact) with one stone (post). It can further boost your brand awareness, likes and comments. Just think about the potential of going viral like let’s say an Instagram album of Beyonce’s top 10 places to visit or a fashion influencer’s pictures of her favorite clothing brands. Next up, in the same way that brands curate Pinterest boards to showcase collections and products, you can now practically do the same here. Maximize showing off your products by providing your audience with different perspectives and angles. Lastly, brands can do even more DIYs, step-by-step tutorials or product demos. We recently showed you how the Live Video feature can benefit your business using the same strategy. Now you can take that to another level and tell more comprehensive stories and longer video sequences. We got Stories then Live Video and now a Slideshow Feature. It’s never been easier to share on this platform. 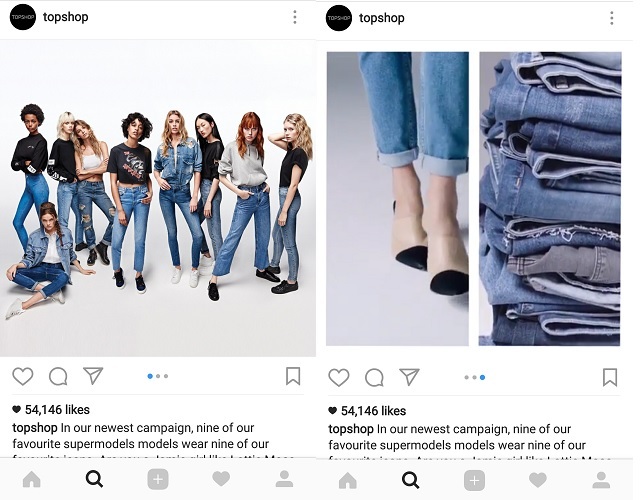 This new addition have just given brands another way to leverage on the use of Instagram. Excited to try it out yet?